Food garnishing isn't necessarily complicated. 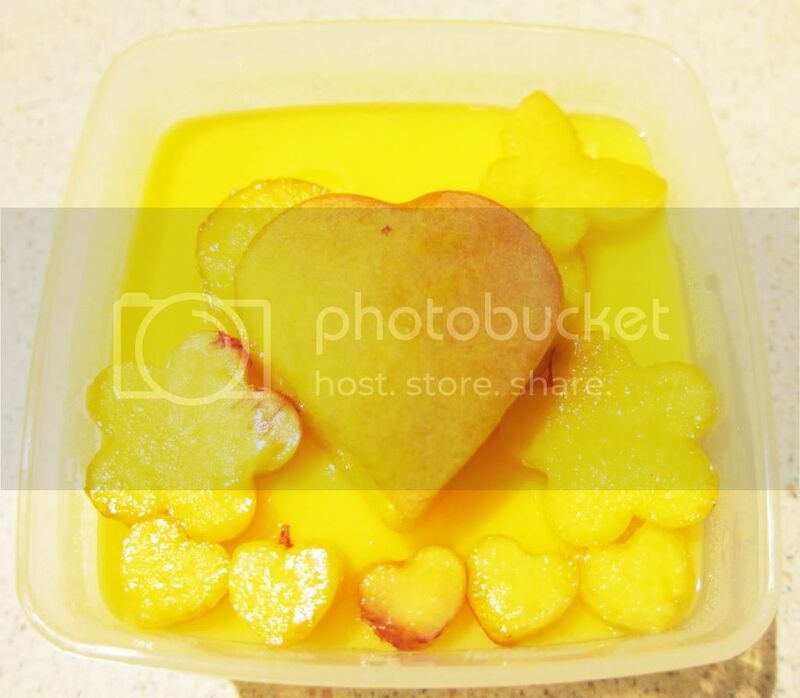 this mango pudding is garnished by using fresh sliced peaches cut with shaped cookie cutters . this is actually a really easy one. but the pictures taken before aren't really that good. and so i need to spend extra time to re-take, which actually means i have to re-eat . 其實呢個一的都唔難, 只是先前拍的相拍得唔好, 所以要花時間 "補拍", 亦都即係要 "補食" 啦 . 1. Even if it's just the same shapes, you can arrange them in different ways to make them all look different. 2. Fully utilise the nature of the fruit. 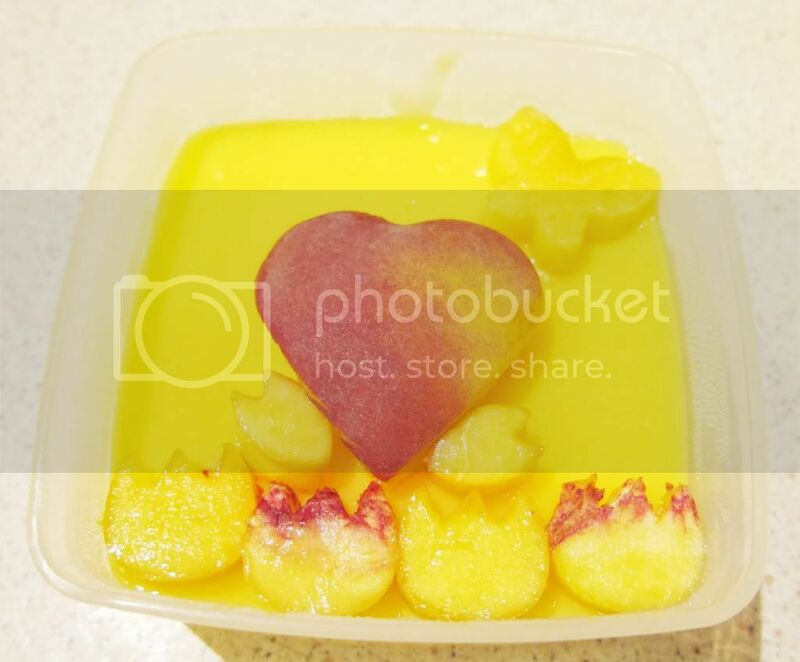 for example, it has a gradual change in color on peaches as shown in the above picture. 2. 盡量利用食材本身的特點, 例如桃本身就有少許漸變色, 也就可以印個漸變色的心形出來, 如上圖. This one is a bleeding heart (the part close to the seed). And it only takes you 5 minutes! 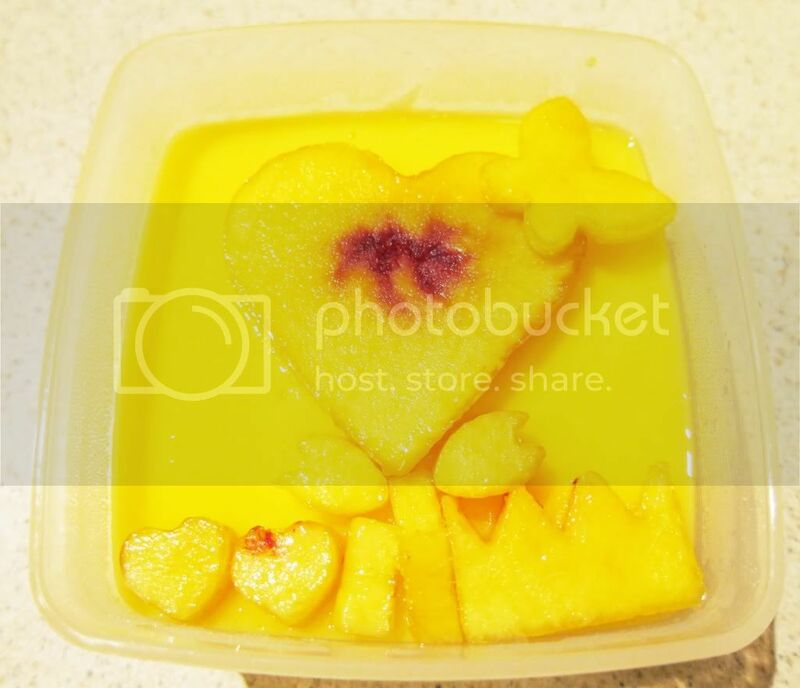 Food used: pudding, peach, sliced before shaping. Tools: cookie cutters in various shapes.